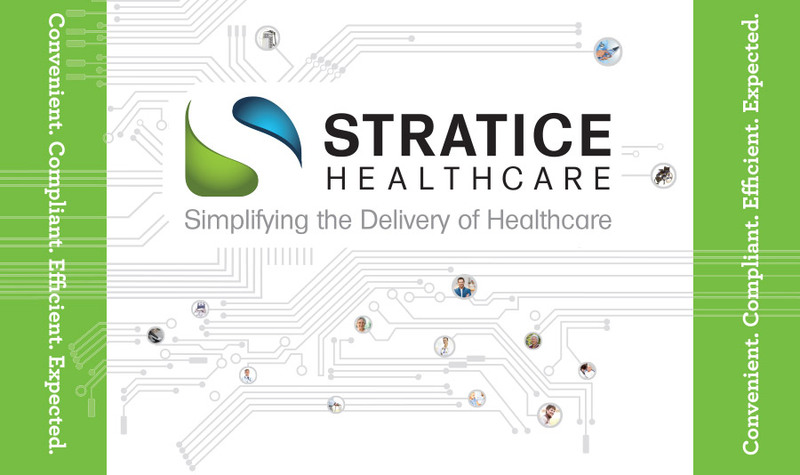 Along with promotional materials used for advertising and promotion, Straice Healthcare requested a design for their trade show booth. 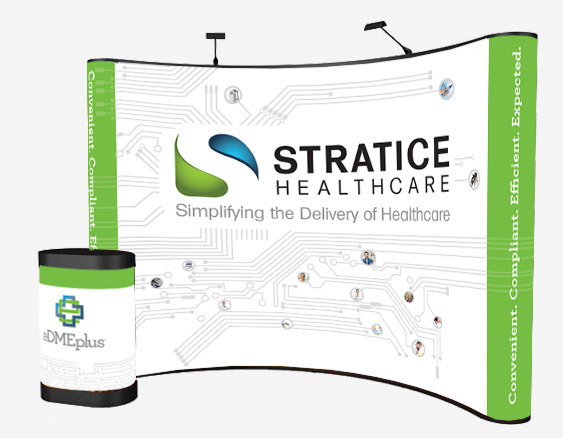 The final design was produced by a popular display company to create the 10′ wide backdrop with rounded ends. The entire backdrop folds down to fit inside a case which doubles as a pedestal counter.